The Toronto Fashion Incubator (TFI) is an innovative and highly respected non-profit organization dedicated to supporting and nurturing small business entrepreneurs. TFI plays an essential role in the growth and promotion of the Canadian fashion community by helping creative entrepreneurs to develop the business and professional skills they need to thrive and survive. The Fashion Group International (FGI) is a global, non-profit organization of over 6,000 executives representing all areas of fashion, beauty & design. FGI’s mandate is to identify the the future trends and issues within the fashion & beauty industry and facilitate discussion; we support our colleagues and new initiatives that reinforce the stability and reach of the Canadian Fashion Industry. Power of Privé (POP) is a Toronto-based brand-positioning consultancy. They deliver bespoke strategies and specialist advice to successfully establish global brands in the Canadian market. With the power to create access to private or unique selling opportunities and influential consumers, POP provides a high-end entry point to the Canadian market. Their strategies include private trunk shows, cross-branding, pop-up shops and events, as well as linking brands with the relevant retailers or talent – whether VIPs in film, music or fashion. Founded by Vanessa Mulroney and Jane Hanrahan, who have a combined 20 years’ experience in the British fashion industry, POP is built on the strength of industry know-how and connections. Vanessa and Jane have extensive experience servicing international luxury brands, giving them the perfect blend of expertise and insider knowledge. THE COLLECTIONS is a visual communications firm offering services in creative production, events and designer management. Known for its power line up of design talent each season at World MasterCard Fashion Week, THE COLLECTIONS, works with some of Canada’s most promising young designers, Beaufille, Sid Neigum, Laura Siegel, Thomas Balint, Matthew Gallagher, LACERDA, Cara Cheung, Klaxon Howl and Paria Shirvani. THE COLLECTIONS were also responsible for bringing international Canadian designer, Rad Hourani’s, Rad by Rad collection in Fall/Winter 12 for the first time to the Canadian runway and Chinese fashion pioneer, JNBY’s first North America Show in Spring/Summer 14. Founded by Dwayne Kennedy, Mel Ashcroft and Brian A. Richards, THE COLLECTIONS is proud to be working with CAFA to support the emerge designer category in offering its production services to provide a Spring/Summer 15 lookbook to the 2014 winner. Stylist Box connects emerging and established fashion and accessory brands to high-profile personalities, top fashion and celebrity wardrobe stylists, and fashion editors. Located in Toronto’s trendy Dundas West neighbourhood, the exclusive showroom avails the latest fashions and accessories from some of Canada’s hottest fashion and accessory brands for red carpet events, special appearances, performances, magazine editorials, music videos, and more. 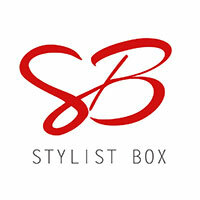 Stylist Box is the connector between fashion stylists, editors and fashion media to the many under the radar fashion and accessory brands. Founded by fashion veterans, Christian Dare and Gail McInnes, Stylist Box is here to create more attention towards Canada’s hottest emerging and internationally established fashion and accessory brands. For more information, please visit www.stylistbox.com.